So my D&O insurer removed the regulatory exclusion for FDIC suits. Then why isn’t it defending me against the FDIC suit? You’re a bank director. You have a D&O policy. It has a so-called regulatory exclusion, for claims by the FDIC against you if the bank fails. The D&O insurer endorses the policy to remove the regulatory exclusion. “That’s good,” you say. “One less worry. I now have coverage for those claims if the bank were to fail.” But a Kansas Federal judge in Bancinsure v. McCaffree, et al, Case No. 12-2110-KHV (D. Kan. Feb. 27, 2014) says you better think twice. Why? Well, yes the insurer removed the regulatory exclusion. But in that case, the insurer’s “insured v. insured” or IVI exclusion was unlike typical IVI exclusions. Like typical IVI exclusions, the exclusion applied to a Claim made by one Insured against another Insured, subject to exceptions. But unlike typical IVI exclusions, the exclusion also explicitly applied to to a Claim by a “receiver” against an Insured. The Insurer shall not be liable . . . for Loss in connection with any Claim made against the Insured Persons based upon, arising out of, relating to, in consequence of, or in any way involving . . . a Claim by, or on behalf, or at the behest of, any other Insured Person, the Company, or any successor, trustee, assignee or receiver of the Company. “Insured Persons” included former directors. “Company” included the bank. So you may not have noticed. Your insurer may not have highlighted it for you. And your broker may not have either. 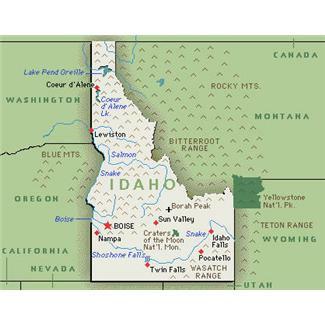 But your IVI exclusion may cover some of the same territory as your removed regulatory exclusion including, according to this court, a suit by FDIC as receiver, perhaps the most significant risk to your personal assets. As the opinion shows, it’s the latest of many IVI cases, but with twists. Each case depends on policy wording, state law, and other facts. Most courts have refused to apply the IVI exclusion to FDIC suits. But this court distinguished those cases, citing Kansas law and the phrase “any successor, trustee, assignee or receiver of the Company.” According to the court, the FDIC was a “receiver” — so the exclusion applied. This court didn’t care about the endorsement deleting the regulatory exclusion. Directors argued the endorsement lead them to reasonably believe a claim previously excluded under the deleted exclusion would be covered, namely, a claim by FDIC as receiver. They argued the endorsement would be meaningless if the IVI exclusion applied. And they argued that including an IVI exclusion and regulatory exclusion endorsement created ambiguity about whether FDIC claims as receiver were excluded. So did the FDIC. [T]he policy language allows the [IVI] exclusion to bar coverage of the FDIC claims without rendering the regulatory exclusion endorsement meaningless. The [IVI] exclusion specifically applies to claims brought by a receiver, and here, FDIC clearly asserted claims against the insured officers and directors in its capacity as receiver. The regulatory exclusion endorsement extended the Policy to provide coverage for any number of regulatory actions by FDIC and other agencies. The endorsement applies exclusively to the regulatory exclusion and does not waive any other policy provision, including the [IVI] exclusion. [Directors and FDIC] cite cases which discuss the exclusion’s anti-collusive purpose, but those cases do not hold that the exclusion does not apply where its purpose is not served. Moreover, the purpose is not even relevant. See Sphinx Int’l, Inc. v. Nat’l Union Fire Ins. Co. of Pittsburgh, Pa., 412 F.3d 1224, 1229 (11th Cir. 2005) (collecting cases). 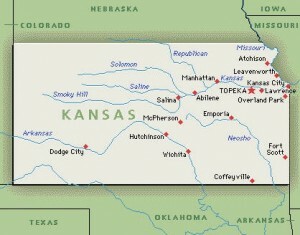 This Court is bound to apply Kansas law, and to give the terms of an insurance policy their plain and ordinary meaning. [Citation omitted] The historical purpose of the exclusion holds no sway. See Sphinx, 412 F.3d at 1229 (exclusion’s rationale does not trump text). There was no ambiguity by having an IVI exclusion and endorsement removing a regulatory exclusion, says this court. FDIC also argued “industry custom and practice” showed this insurer intended to cover the FDIC’s suit here. That custom and practice included “the historical context of the banking crisis of the late 1980s and early 1990s when several courts rejected ‘insured v. insured’ exclusions where the policies did not specifically exclude coverage for actions by ‘receivers,’ thereby prompting insurers to add regulatory exclusions to their policies.” But, according to this court, there was no need to consider “custom and practice” because the policy was unambiguous. FDIC argued in addition that because of a prior inconsistent position insurer was judicially estopped from denying coverage. But this court said judicial estoppel was inapplicable. So what did the endorsement removing the regulatory exclusion accomplish? Not much, according to this court. Some limited coverage for claims by regulators, but no coverage for a community banker’s greatest fear – a suit by FDIC following a bank failure. What the big print giveth, the small print taketh? For another view about this case, see Joe Monteleone’s blog post here. For a discussion of the FDIC’s October 10, 2013 Financial Institution Letter 47-2013 warning of areas of concern for bank D&O policies, see Travis Nelson of Reed Smith’s discussion here. Kevin LaCroix also discussed the issue here. Stay tuned for more posts about cases addressing this issue and similar issues. There are more to come soon! UPDATE: On March 28, 2014, FDIC and the director defendants appealed to the 10th Circuit. We’ll let you know what happens! You’re a director of a bankrupt company. Will you be able to access your company’s D&O policy to pay for your defense? You’re elected a director of a company. Great, you think. What an honor! $$$ too! Well, even better than the honor. Flash forward. Great becomes not so great. Your company has little money. Creditors are up in arms. Company files bankruptcy. A Chapter 7 liquidation. Bad. Bad becomes much worse. Your company’s largest creditor is really, really mad. It’s stiffed big time. And it says it was deceived . . . by you, other directors, and your company’s overseas parent. It sues for many millions. It alleges fraud and Federal and state RICO violations. And you’re a target. That’s a heap of trouble. But lucky for you, there’s a D&O policy. You wouldn’t serve without it. And it’s still effective. $10 million in limits too, though they’re “wasting” for defense fees. (c) only after payment of Loss has been made pursuant to Clause 22(a) and Clause 22(b) above, with respect to whatever remaining amount of the Limit of Liability is available after such payment, pay such other Loss for which coverage is provided under Coverages B(i) [(Organization Liability, Securities Claims)] and D [(Crisisfund® Insurance)] of this policy. Your claim, with other directors’ claims, thus has priority over your bankrupt company’s claims. So at least you can hire good legal counsel. No worries about paying their bills. You think. But then your D&O insurer balks, sort of. Yes, it will advance your defense fees and expenses; but only subject to a reservation of rights and only if a bankruptcy court approves. Filing bankruptcy automatically stayed “any act to obtain possession of property of the estate or of property from the estate or to exercise control over property of the estate . . . .” 11 USC 362(a)(3). So if the policy or proceeds are “property of the estate,” the stay would bar “any act to obtain” or “obtain possession of” the company’s D&O policy or proceeds, including a request that the D&O insurer pay for your defense. Because of the bankruptcy filing, a United States Bankruptcy Trustee has charge of your company’s affairs. And trustee may not want your D&O insurer to pay your defense fees. Trustee may have warned your insurer not to pay them. The trustee may want to preserve the proceeds, including perhaps for its own claims against you. And a bankruptcy judge may agree with trustee. Are you doomed? You ask the bankruptcy judge for your fees to be paid. You argue the stay doesn’t apply because neither the policy nor its proceeds belong to the bankrupt company’s estate. And even if they do, the court should use its discretion to lift the stay, because the harm to you from a stay outweighs any harm to the estate from lifting it. Trustee resists. The policy is estate property, trustee says. So are proceeds, trustee says. And if not, the court shouldn’t use discretion to lift the stay; the harm to the estate from lifting it outweighs harm to you and any other directors and officers from keeping it. There’s an investigation of potential claims for the estate’s benefit against you and them, trustee says. So D&O insurance limits must be preserved for those potential claims. In cases involving D & O policy proceeds, the bankruptcy court should balance the harm to the debtor [company] if the stay is modified with the harm to the directors and officers if they are prevented from executing their rights to defense costs. [Citations omitted]. . . . In a “wasting” policy situation, courts factor whether defense costs might exhaust the coverage available to pay a future covered loss under the policy, or expose the bankruptcy estate to indemnification claims. [Citation omitted]. Further, “clear, immediate, and ongoing” losses to the directors and officers in incurring defense costs trumps only “hypothetical or speculative” claims by the trustee. Directors were incurring “clear, immediate, and ongoing” and likely covered defense expenses, explained the court. And, under the National Union D&O policy’s “Order of Payments” clause, the D&O insurer must pay them before the bankrupt company’s claim, said the court. [T]he potential for harm to the estate suggested by Trustee consist of hypothetical, indeed perhaps speculative claims he might pursue against the [directors], or some of them, such that he wants to conserve the total coverage proceeds available under the Policy. However, it does not appear that the bankruptcy estate is currently exposed to any other claims that would generate any claims against Coverage B [(Organization Liability)], nor that the bankruptcy estate would incur any indemnification claims by [directors]. Realistically, Trustee seems to be merely be seeking to protect the estate’s claims against [directors] under Coverage A [(Executive Liability)], a tactic that has been criticized by other courts facing this issue. Under Ninth Circuit case law, the D&O policy belongs to the bankrupt company’s estate, says the court; but given that the stay may be lifted even if proceeds are estate property, there’s no need to address that issue here, though at least one court has done so. See In re Downey Fin. Corp., 428 B.R. 595 (Bankr. D. Del. 2010)(proceeds not estate property if used to pay for D&O defense fees). What are the lessons for directors, officers, and brokers? In a bankruptcy, a director or officer will not want to rely on a bankruptcy judge to decide whether he or she gets a defense from its D&O insurer. A major reason for buying the insurance is to cover risk from catastrophic events, such as a company’s bankruptcy. The directors and officers want their personal wealth protected. In another scenario, a bankruptcy judge may decide the proceeds belong to the estate and estate harm outweighs director or officer harm; so the directors and officers must pay for their defense themselves. How would a director or officer feel about then? Unhappy, for sure. Angry, maybe. Angry enough to sue a broker? Maybe if there’s enough money on the line? Are there other solutions? How about a separate side-A policy, only for the directors and officers? Or for independent directors, a stand-alone independent director policy? Are the premiums worth it? For the director or officer, it would seem so. Are brokers always advising their clients of those options? They better be! Do any of you knowledgeable readers have comments? Speak up! Your professional liability insurer says you’re uninsured because someone else lied in your firm’s insurance application. Are you doomed? If you read this blog regularly, you saw this scenario in our December 2013 blog post here about Illinois State Bar Association Mutual Ins. Co. v. Law Office of Tuzzolino and Terpinas, 2013 IL App. (1st) 122660 (Nov. 22, 2013). There, an Illinois appeals court held that the innocent insured, an attorney, wins, because of wording deemed to provide contract severability and the common law innocent insured rule. 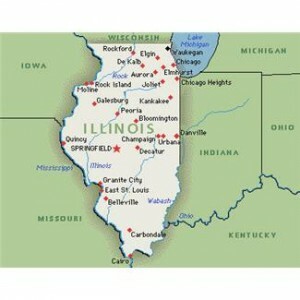 Recently, however, the Illinois Supreme Court agreed to review the appeals court decision. Presumably it will consider (1) whether there’s a separate contract between insurer and each insured, non-rescindable as to the innocent insured and (2) whether under the common law, the insurer can rescind a professional liability policy as to an innocent insured. For partners in professional services firms and directors of non-profits and private companies severability is critical. You don’t want to learn you’re uninsured because a bad apple misrepresented material facts to the insurer. Years ago it was not unusual for insurers to rescind D&O policies based on material misrepresentations in insurance applications, even for public companies and banks. Rescission was common following bank failures in the 1980’s. That could mean innocent D&O’s were uninsured because of misrepresentations someone else made. But rescission is still an issue every insurance purchaser and broker should consider. Get the application answers right. But consider severability and, better yet, a non-rescindable policy. The common law innocent insured doctrine isn’t something to count on. Stay tuned to this blog for our report on further developments in this important case. You may think it’s just big law firms carrying D&O insurance. Kevin LaCroix of the D&O Diary reported here, for example, about Dewey LeBoeuf’s supposed $50 million in D&O insurance from three insurers. 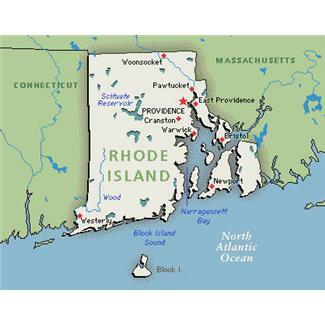 But out of Rhode Island, we have a case addressing D&O insurance for a small firm focused on personal injury and disability claims. That case, Rob Levine & Associates, Ltd. v. Travelers Casualty and Surety Company of America, C.A. No. 13-560-M (D. R.I. Feb. 3, 2014), addressed the policy’s professional services exclusion. For the D&O underwriter of professional services firms, a goal is to assure your policy doesn’t insure risk you’d expect the professional liability insurer to insure. So your policy includes a professional services exclusion. For an insurance buyer, you’d expect some coordination between policies. But where’s the line between professional services and business risks for a professional services firms? How about advertising for professional services? There are a lot of lawyers doing TV ads. Ever watch day time TV? First it’s auto wrecks. Then it’s nursing homes. Then it’s asbestos. Then it’s divorce. We will get you the money you deserve! Now, back to Maury Povich! Banner ads on the internet. Same things. Ever drive from Chicago to Detroit. Got to love lawyer billboards near the Indiana line and approaching the City of Detroit! We live in a great country! Lawyers say the deceptive practices count alleges misleading statements “‘related to advertising, not the actual rendering of legal services. '” “‘[R]elated to the rendering of, or failure to render, professional services,'” for the D&O Policy, means “‘the actual performance of acts incident to particular professional services[,] [f]or example, . . . gathering medical records, negotiation of a settlement, filing complaints, and preparing discovery responses. '” The Wrongful Act was the “making misleading statements in advertisements. '” It wasn’t rendering legal services. The opinion doesn’t address the multiple other counts in the complaint, including whether the lawyers malpractice insurer defended them. Nor is the firm’s commercial general liability advertising injury coverage addressed. That coverage generally is limited to “Offenses” including “misappropriation of advertising ideas,” “disparagement,” and “infringing upon another’s slogan.” So it’s not for consumer claims about buying a product or service based on an allegedly deceptive ad. The opinion also doesn’t address whether the firm purchased D&O and professional liability insurance from the same insurer. Coverage presumably would be coordinated most effectively were that true. And there’s also presumably less risk of insurers claiming a coverage gap and pointing fingers at each other. Comments on what insurers market this product for small law firms and frequency of purchases are encouraged. Surprise! Words in a contract may not mean what they say. Even when they’re unambiguous. Or even if agreed by sophisticated parties. That’s particularly true for insurance contracts. And lately it’s super-double particularly true for claims made insurance contracts. You saw that in our recent post about California and Maryland cases involving claims made policies with reporting requirements. Although insurance buyers failed to report claims timely under contract wording, judges didn’t care. Insurers must pay unless they show prejudice from delay, the judges ruled. California judges decided that way because of judge-made “common law.” And it’s California! Maryland judges decided that way because a statute required the result, they said. 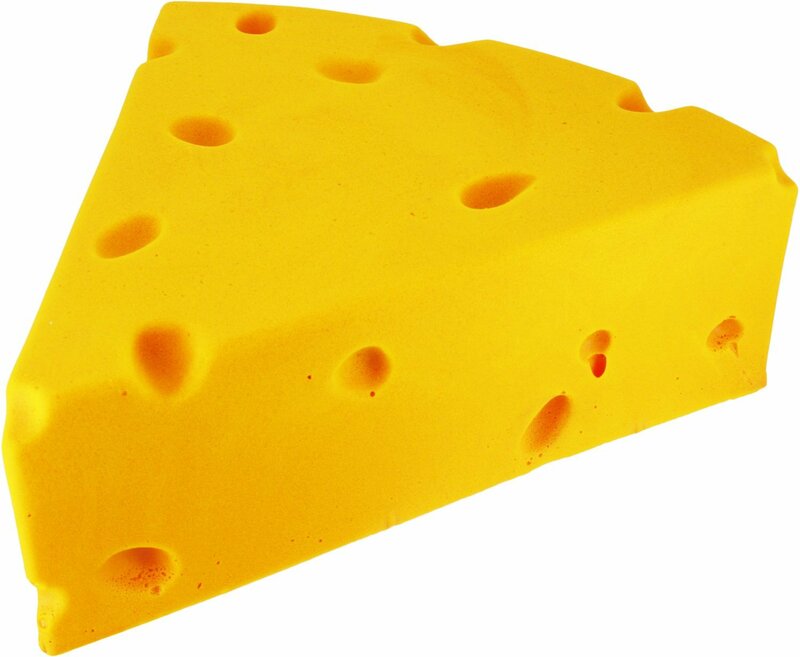 Now in the land of cheese, beer, and brats, Wisconsin judges made a decision smelling like Limburger for Wisconsin claims made insurers. The case is Anderson, et al v. Aul, et al, Case No. 2013AP500 (Feb. 19, 2014). And the insurer loses on an untimely reporting defense even though the insured wasn’t even close to meeting the policy’s reporting requirement. The problem for the insurer: a statute trumped the policy wording. Despite those warnings, the law firm waited until 11 months after the policy period to report a claim. But who cares, says the court! Under WIS. STAT. § 631.81, “an insurer whose insured provides notice within one year of the time required by the policy must show that it was prejudiced and that it was reasonably possible to meet the time limit.” This law firm’s notice was within 11 months. No prejudice? Insurer as a matter of law loses, at least based on the reporting defense. The Wisconsin law applied to all liability insurance policies. There was no distinction made between claims made and occurrence policies. Who knows whether the lawmakers knew or considered the differences between the policies. But it doesn’t matter. For Wisconsin insurance buyers, buy a round of Leinie’s, Schlitz, Hamm’s, or Old Style for everyone at your local tavern to celebrate your win! Insurers say the reporting requirement isn’t there merely to allow timely investigation and defense. The reporting and claims made requirements are the essence of the insurance. Whether prejudice resulted from untimely reporting shouldn’t matter. The reporting requirement allows insurers to close their books on risk once the reporting period ends. It also allows for more effective product pricing. Insurance buyers argue late notice should make no difference if the insurer isn’t harmed in its ability to investigate or defend. Their advocates convinced politicos in some states to pass laws saying so, including Wisconsin. Sometimes they get judges to in effect do the same. So watch out insurance underwriters. You may not have what you think. Make sure you consider the possibility of a statute or judge-made law and price your product accordingly. And watch out insurance purchasers. You may have something better than what your contract’s words say, though it’s still best to simply do what your contract says you should do, timely report! Your client is a Chinese national convicted of domestic violence. The US Immigration and Naturalization Service wants to deport him. You represent him for 4 to 5 months. He replaces you. There’s an INS hearing. The judge denies his asylum request. He hires more lawyers. His domestic violence conviction is vacated. But he spends 2 years in INS detention before then. So he sues you for legal malpractice. He alleges emotional distress, humiliation, physical abuse, isolation, pain and suffering, loss of education and loss of income. Prison was no country club. You notify your malpractice insurer. It retains counsel to defend you. Your lawyer moves for summary judgment: non-economic damages aren’t recoverable in an Illinois legal malpractice suit. Motion denied. Your lawyer moves to exclude evidence of non-economic damages at trial. Motion denied. Your former client presents evidence only on damages for emotional distress, loss of normal life, psychological damages, and cost of future psychological care. Your lawyer asks for a jury instruction that damages for noneconomic harm can’t be awarded. Motion denied. Your lawyer moves for a directed verdict. No, no and no, says court! And then . . . The jury whacks you big time — $4 million, for the asylum seeker, your former client. And you get to pay, unless there’s enough insurance. Time for a new lawyer or two, you say–for post-trial and asset discovery proceedings. So you get one, paid by your insurer, and another, paid by you. New lawyer moves for a remittitur, reducing the judgment to $1 million. Motion granted! Wow, this judge finally rules your way. That’s better than $4 million, but still a lot of $$$. And your former client rejects it. New lawyer moves for judgment notwithstanding the verdict or for a new trial. Denied. Back to normal. You appeal. Your former client appeals. After the appeal plays out, you get relief: your former client had no right to noneconomic damages. The Illinois Supreme Court denies further review. All’s well that ends well? Not quite. You’re unhappy. Time. Money. Heartache. A terrible experience. Blame your lawyer. You got blamed. It’s your turn. He told your insurer about settlement offers, but not you, you think. He had a conflict of interest because the insurer appointed him, you think. This should never have gone to trial. It should have settled. So what do you do? Hire a lawyer. Sue your trial lawyer. File a complaint. Amend. Amend. Amend. But the court dismisses your amended complaints with prejudice. You appeal. More litigation. Who wins? Not you, says the court in a case generally along those lines known as Huang, et al v. Brenson, et al, Caes No. 1-12-3231 (1st Dist. Mar. 5, 2014). Why? The verdict wasn’t your lawyer’s fault. It was the circuit judge’s fault. Your trial lawyer did the right things. Move for summary judgment. Move in limine. Move for a jury instruction limiting damages. Move directed verdict. He was right. Noneconomic damages aren’t recoverable for legal malpractice. The judge was wrong. And your trial lawyer didn’t do anything to contribute to the judge’s error. You were vindicated on appeal because of your lawyer’s efforts to preserve the damages issue in the circuit court. Based on the undisputed facts and as a matter of law, he didn’t proximately cause any harm you claim. But what about the settlement offers he didn’t tell you about, as alleged in your amended complaint? Yes, a failure to communicate offers “is typically considered a breach of fiduciary duty.” But you must allege facts showing the breach was the proximate cause of the harm you claim. And you didn’t. You didn’t allege you were willing or able to pay the alleged settlement offers. Or that your insurer would have done so. Or that you could have forced your insurer to do so. You don’t even allege the demands were reasonable or facts showing they were reasonable. There are no facts alleged showing trial could have been avoided. It’s over! And there’s no cause of action against judges who make mistakes. Even if they’re big ones. Judicial immunity! Funny thing, this is the second case we’ve reported on recently (see here) where lawyers were sued, but escaped liability because it was the judge not the lawyer that erred. No claim reporting requirment in insuring clause? Then claims-made insurer must prove prejuduce from late notice, says court. You underwrite claims-made D&O, and professional, fiduciary, and employment practices liability insurance. So claims trigger coverage. As a policy condition, customers must report claims as soon as practicable, but in no event later than 30 days after the policy period. Customers include medical device companies. They need professional and commercial general liability insurance. You combine your professional liability and historically occurrence-trigger CGL products into a claims-made product. You love that product: no worries about long-tail claims from occurrences years earlier; much easier to know when risk ends; easier to price products; and, best of all, actuaries love you. So you think your risk ends when the 30-day claim-reporting window ends unless a claim is reported. You also may have risk of a claim developing after the policy period from a circumstance reported during the policy period; or of a claim made during a 12-month extended reporting period if purchased; or of a post-policy period claim involving the same or related wrongful acts as a policy period claim. That’s it. You think. But if your claim reporting requirement isn’t in the policy’s insuring agreement and you’re in California, think again, says the court in Newlife Sciences LLC, et al v. Landmark American Ins. Co., Case No. 13-05145 (N.D. Cal. Feb. 18, 2014). There, a medical device company buys a combined professional liability-CGL product effective July 17, 2008-2009. It’s a duty-to-defend policy. Company is sued less than 3 months after policy inception. But it doesn’t report the claim. It buys a 1-year renewal policy. And the predecessor policy’s 30-day claims-reporting window ends; still no claim reported. Insurer closes its books. 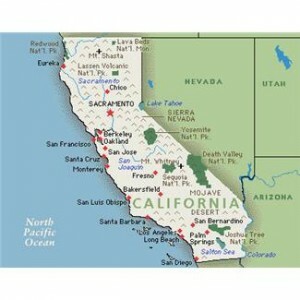 Company says, “But this is California.” You must prove prejudice to avoid coverage for late notice. It sues insurer. Insurer moves to dismiss; company’s complaint shows it didn’t comply with the claims-made policy’s reporting requirement. Claims-made policies differ from occurrence policies where prejudice is required for a late-notice defense. The concept of “claims made” policies has been further extended by a type of policy in which the insuring agreement specifically limits the insurer’s obligations to “claims made and reported” during the policy period. In such policies, “[t]imely reporting of the claim is thus the event triggering coverage.” . . . These policies “are essentially reporting policies.” [Citation omitted]. The reporting requirement in a “claims made and reported” policy is, thus, not a condition of coverage but part of the coverage definition itself. Whereas an insurer bears the burden to show it was prejudiced by the insured’s failure to comply with a reporting condition, it is the insured that bears the burden to show the claim was timely reported in a “claims made and reported” policy. The court thus found the reporting requirement’s location controls whether insurer must prove prejudice from late notice. A reporting condition requires proof of prejudice. But an insuring agreement reporting requirement does not, at least if about reporting within 30 days of policy termination. But the court never really explains why the result differs because of wording location. It doesn’t appear insurer argued there was no substantive difference between locating the wording in the insuring agreement or a notice condition. Whether prejudice is required from late notice is controlled by state law. For liability policies, it frequently makes a difference whether the policy trigger is an occurrence or claim. In many states, insurers under occurrence policies must prove prejudice to avoid coverage for late notice. The reporting requirement allows insurers to investigate occurrences and defend and settle suits. If delay doesn’t adversely affect those efforts then insurers shouldn’t avoid coverage, so say many courts. In many states, insurers under claims-made policies in contrast need not prove prejudice to avoid coverage from late notice, at least if notice is required within the policy period or a limited window thereafter. Unlike the notice requirement in occurrence policies, the reporting requirement in claims-made policies also allows insurers to close their books on risk once the reporting period ends. The two policy types thus fundamentally differ. But for this court, all that mattered was the reporting requirement’s location. But was that a distinction that should make a difference? A court in at least one state found location made no difference. See Navigators Specialty Insurance Co. v Medical Benefits Administrators of Maryland, 2014 U.S. Dist. LEXIS 22631 (D. Md. Feb 21, 2014). But it also found that regardless of location a claims-made insurer must prove prejudice. There the reporting requirement was in the insuring agreement, not the notice condition. And the result was driven by a statute requiring proof of prejudice for late notice, mainly applied to occurrence policies, but applied in this case to a claims-made policy. Watch for further legislation and court decisions addressing this issue. You’ll be sure to see them! You’re a lawyer. Your client’s brother dies. Client is executor of brother’s estate and successor trustee of brother’s trust. You tell client he’ll need to file an estate tax return with tax man. There’s a deadline. You get an extension. It’s until August 16, 2006. But you don’t file. And there’s no further extension. Client is very unhappy. He hires new lawyer. New lawyer files the return a year and five months after the deadline. Client thinks about suing you. But he’s willing to hold off until the situation plays out with tax man. You say great. But new lawyer wants you to agree to toll the limitations period for suing you until September 21, 2009. You agree. Is there any complication? You don’t think so. In March 2008, two weeks after you sign the tolling agreement, tax man assesses over $191,000 in late-filing penalties and interest against client’s brother’s estate. That’s a lot of bread, says client. Why didn’t you just file the return on time? Client has the tolling agreement. So he doesn’t sue you right away. Instead he waits until September 18, 2009. That’s just three days before the tolling agreement extension for suit expires. And then on October 10, 2009 you’re served with summons and complaint. Yikes! Client didn’t sue any accountants. Nor did client have a tolling agreement with any accountants. On September 19, 2011, two years and a day after client sued you, but less than two years after you were served, you sue two accounting firms for contribution. They’re the ones to blame, at least in part, so you say. Is your contribution claim timely? You think so. So does your lawyer. But the accountants say you waited too long. What does the court say? In Kadlec v. Sumner, 2013 IL App (1st) 122802 (Nov. 19, 2013), generally involving the scenario above, the accountants win, you lose! Why? There’s an Illinois statute of limitations for contribution claims, namely, 735 ILCS 5/13-204(b). But it has two requirements. You met the first requirement, by filing your contribution claim within two years of the time client served you with the summons and complaint. See 735 ILCS 5/13-204(b) (“no action for contribution or indemnity may be commenced more than 2 years after the party seeking contribution or indemnity has been served with process in the underlying action”). But, per the court, you didn’t meet the second requirement. And under that requirement, you could seek contribution from the accountants only if when your client sued you the time for your client to sue the accountants hadn’t expired. See Id. (“but only to the extent that the claimant in an underlying action could have timely sued the party from whom contribution or indemnity is sought at the time such claimant filed the underlying action”). Why should the second requirement matter? Well, you’re really trying to get a jury or judge to allocate to accountants a share of responsibility for damages client may recover from you for the same late-filed estate tax return. If when client sued you, it was too late for client to sue the accountants, we’re not going to let you sue the accountants either – so say the Illinois law makers. The time limit for those claims passed. Allowing you to sue would defeat the purpose of the time limit. 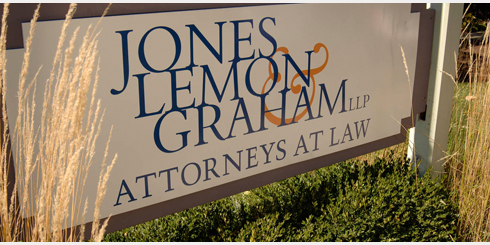 We’ll treat the situation differently only if client sued you within the time limit. But when client sued you, why was it too late for client to sue the accountants? The two-year limitations period for client’s claims against accountants (725 ILCS 5/13-214.2(a)) began when the extended deadline for filing the estate tax return expired with no return filed–namely, on August 16, 2006. So client had until August 16, 2008 to sue the accountants. But client didn’t. Client didn’t sue you by then either. But how is it that on August 2006 the client knew or reasonably should have known of the accountants’ act or omission concerning the late filing? That was the same day the deadline passed with no filing. Why not when client learned of tax man’s assessment of penalties and interest, in March 2008? Well, per the court, “the law is not that [client] must know the full extent of [its] injuries before the statute of limitations is triggered, Rather, [we] adhere to the general rule that the limitations period commences when [client] is injured, rather than when [client] realizes . . . the full extent of [the] injuries.” [internal quotations omitted]. Plus “damages, i.e., penalties, began to accrue for the estate immediately upon the failure to file the estate tax return.” This was different than a case against an accountant about a negligently prepared tax return, where tax man discovers the error upon reviewing the faulty return and gives taxpayer notice of a deficiency. There, the time to sue runs from taxpayer’s receipt of the deficiency notice. Here, client knew or reasonably should have known that “something was amiss” when the return filing deadline passed with no return filed. Why was the tolling agreement a problem for you? By entering into the tolling agreement, you gave client more time to sue you. So by the time client sued you, in September 2009, the time for client to sue accountants, two years from the August 2006 filing return filing deadline, had passed. Under the Illinois contribution limitations period statute, that meant you couldn’t sue client for contribution. If you hadn’t agreed to toll the limitations period, client would have had to sue you earlier. And presumably it would have done so within the deadline for suing the accountants. So your contribution claim against them would have been timely filed. Why were you having to sue the accountants anyway? Why didn’t the client sue them? The court thought the accountants shouldn’t have been sued at all: “Although this case is presented as a contribution case that was not brought within the applicable statute of limitations, we are troubled by the official record in this case which does not factually support a claim of any kind against the named third-party accounting firms.” “[T]here . . . is no proof that the accountants . . . were involved in the preparation of the estate tax returns . . . .” So that the contribution claim was late evidently made no difference. There was none to begin with. Moral of the story: We’ve seen complications with tolling agreements before, in insurance claims as an example. See blog post here. You’d ordinarily expect a tort claimant to sue every potentially responsible party timely. Or include them in a tolling agreement. But that doesn’t always happen. And if it doesn’t and you’re sued, your contribution claim may be in jeopardy. Here it made no difference. There apparently wasn’t any claim against the accountants, per this court. When is client’s instruction or position in prior proceeding a defense to a legal malpractice claim? You’re an attorney. Successful groom asks you to draft a pre-nuptial agreement. He likes bride. But he wants protection – just in case. Groom sends you a “basic framework”: in a divorce, wife gets $100,000/year for seven years, 50% of the value of primary residence, and 50% of marital assets; but she doesn’t get groom’s many pre-marital assets. You draft agreement according to framework. Bride and groom acknowledge terms are reasonable and voluntary assent. Bride consults her lawyer. Bride and groom sign. They get married. And they live happily ever after. Husband hires new lawyer. Husband challenges the validity of the pre-nuptial agreement. Wife seeks a declaratory judgment that agreement is enforceable. Husband testifies by deposition. He says wife entered into the agreement in bad faith. She did not uphold her “side of the bargain” (Curious what that “side” was – but no details in opinion!) He was under extreme emotional distress when he signed. And the agreement resulted from fraud. But he doesn’t raise your negligence. Eventually husband and wife settle. Both waive any maintenance claim. Husband pays wife $500,000 and $15,000 toward her lawyer fees. Wife gets the marital assets. The pre-nuptial agreement is revoked. Husband testifies at prove-up hearing that the settlement resolves all issues, he’s satisfied with and understands the terms, and they’re fair and equitable. The court enters a judgment dissolving the marriage. Then husband sets his sights on you. A few months after the divorce judgment he sues you. You should’ve told him that signing the agreement was bad news! What kind of lawyer would let a guy agree to pay his wife $100 G’s for 7 years if they’re only married for a year or even 3 years? Not to mention the half the house and half the marital assets part of the deal. You should have raised adjusting the pay-out depending on duration of marriage. You say you followed his instructions from his detailed framework. He’s a sophisticated guy. You’re entitled to rely on them. This is unfair. He’s equitably estopped from suing you for malpractice. You also say in the pre-nuptial agreement he acknowledged the terms were reasonable and understood. He also acknowledged the divorce settlement and judgment were reasonable. And he failed to raise your alleged negligence in the divorce action. So he’s “judicially estopped” from claiming your negligence. You also say it’s too late to sue. Wife sued for divorce in late 2008. He started his malpractice case in Spring 2011. There’s a two-year limitations period for suing Illinois lawyers. We’re done! That sort of scenario generally played out in Palmich v. Kirsner, et al, 2014 IL App (1st) 122230-U (Jan. 21, 2014). Who wins? Well, the trial court citing “judicial estoppel” said attorney wins. But the appeals court had another idea. And it’s not over yet. But client gets a chance to prove his case. According to the appeals court, that client provided attorney the “basic framework” and signed the agreement didn’t mean attorney was off the hook. Nor did it matter that client failed to raise counsel’s negligence in the divorce action and agreed to a divorce settlement and judgment. Nor was client’s deposition testimony in the divorce proceeding, about why the agreement was invalid, totally inconsistent with client’s malpractice claim, as required for judicial estoppel. In the divorce action, client didn’t identify counsel’s negligence as a ground for invalidating the pre-nuptial agreement. But client also didn’t testify counsel properly advised him. So client said nothing in the divorce case that was inconsistent with claiming attorney malpractice in the malpractice case. It wasn’t even clear client knew of counsel’s “negligence” until after the divorce proceeding. Nor, in any event, was counsel negligence a legally sufficient ground for invalidating the agreement. That client agreed to the divorce settlement and judgment including in his prove-up testimony didn’t judicially estop client from suing attorney for malpractice either. Judicial estoppel doesn’t apply because there was nothing inconsistent about client agreeing to the settlement and judgment and then claiming malpractice by counsel in failing to advise him properly about the pre-nuptial agreement. This isn’t a case like Larson v. O’Donnell, 361 Ill. App. 3d 388 (1st Dist. 2005), overruled on other grounds by Vision Point of Sales, Inc. v. Haas, 226 Ill. 2d 334, 352 (2007), where husband was judicially estopped from claiming malpractice by attorney in misinforming him about obligations under a marital settlement agreement. Husband testified in the divorce proceeding that he understood his obligations under that agreement. In the malpractice case he claimed the opposite. So his positions in the malpractice and divorce cases were totally inconsistent. Judicial estoppel thus applied. [Client] specifically pled a general duty in that “[attorney] was required to exercise a reasonable degree of care and skill in the representation of his client.” Taking the allegation as true and viewing it in a light most favorable to [client], we find that the general element of duty was sufficiently pled. Thus, dismissal with prejudice was erroneous. By acknowledging that [client] sufficiently pled the existence of a general duty, we make no finding regarding the existence of a specific duty related to the duration of marriage. That determination will be made after the parties have been put to their proofs. The allegations of proximate cause and damages similarly were “minimally sufficient”–but that was enough. The appeals court decision may not be cited as precedent except in very limited circumstances. But it does include some useful lessons. There may be circumstances where a client can’t pursue a malpractice claim because of an inconsistent position in an earlier proceeding. But this wasn’t that circumstance. And just because a client provides drafting instructions, an attorney can’t simply follow them and expect he or she has nothing further to do. This client was unhappy because he thought his lawyer should have explained the consequences of this pre-nuptial agreement more thoroughly including other options. We don’t know the outcome. But if there’s a reasonable alternative option, it’s best to make sure the client knows about it. You’re injured in a vehicle accident. The other vehicle is an Illinois Department of Transportation or “IDOT” truck. You hire an attorney a day after the accident. You claim neck, back, hip and buttocks pain. You see a chiropractor for pain. That’s the same day you hire attorney. You see a neurologist and pain management specialist. Your neck pain resolves. But other pain continues. About five months after the accident you fall off a chair at work. You land on your arm. But your hips hit the floor. You claim the character of pain didn’t change before and after the fall. You have two MRI’s. Both show the same damage, according to your chiropractor. One is before the chair fall. The other is after the fall. After the fall, you see an orthopedic surgeon. He acknowledges you complain of back, leg, and hip pain. About three months later, after pain becomes more severe, he does fusion surgery. Your medical bills total $58,000, but most are for services after the chair fall. Your attorney files a claim for you against IDOT with the Illinois Court of Claims. There’s a bench trial. You testify. Your chiropractor’s deposition comes in evidence. He testifies about the two MRI’s. Your pain management doctor’s deposition comes in evidence too. So do all your medical bills. But your orthopedic surgeon’s deposition is excluded. The court decides it wasn’t properly designated as an evidence deposition. Two years later the court finds that as a result of IDOT negligence, you sustained damages before the chair fall in the form of medical expenses, lost wages and property damage. So it awards you $17,000. But it concludes medical costs incurred on and after the fall weren’t from the vehicle accident. Your attorney petitions for rehearing and a new trial on damages. He argues the court erroneously assumed you injured or aggravated your back problems from the chair fall and then filed a workers’ compensation claim for the fall. Your attorney shows the only workers’ compensation claim was filed months before the chair fall, for injuries from the vehicle accident. Your attorney raises other points of error including, among other things, that there was no evidence you injured your back from the chair fall. But it was all for naught. And unfortunately for you, court of claims’ decisions generally aren’t subject to judicial review. And this one wasn’t one of the exceptions. So what do you do? Well, you find another lawyer. And with that lawyer at the helm, you sue your personal injury lawyer for malpractice. It’s all his fault you say. He screwed up because your surgeon’s deposition was excluded. It wasn’t properly designated as an evidence deposition, said the court of claims. You would have gotten all your damages if only it came into evidence like it should have. There’s a bench trial. Experts testify on both sides. Who wins? Attorney, says the trial court. Attorney breached no legal duty. Excluding your surgeon’s deposition wasn’t the proximate cause of your loss. You lost because the court of claims erroneously concluded the chair fall was a superseding cause. You appeal. We cannot say that, more likely than not, [surgeon’s] testimony linking [client’s] surgery to the April 1998 car accident would have changed the decision of the court of claims. Nor can we say that, more likely than not, [his] testimony that it was “certainly possible” that the fall from the chair may have been injurious because of a predisposition to injury as a result of the automobile accident would have changed the outcome for [client] had it been admitted into evidence … It is clear from the judgment order that the court of claims was not cutting off [client’s] damages subsequent to [the chair fall date], because [surgeon’s] causation testimony was excluded, but rather because it erroneously believed that IDOT had somehow proved the fall from the chair was a superceding (sic) event … Because we find that the decision of the court of claims to exclude [client’s] medical damages beyond [chair fall date], was based on erroneous conclusions of facts and law on the part of the court of claims, over which we have no power, and not on the exclusion of [surgeon’s] testimony, we cannot say that the circuit court’s finding that [client] failed to prove proximate cause on her legal malpractice claim against [attorney] was against the manifest weight of the evidence. Lesson for lawyers, especially in Illinois: Illinois has a peculiar rule distinguishing discovery from evidence depositions. There was an issue about how attorney noticed the surgeon’s deposition. And the transcript face page designated the deposition as a discovery rather than evidence deposition. Although there’s a rule for correcting transcript errors. nothing was done to change the transcript designation to evidence deposition. Attorney claimed he had an agreement with prior IDOT counsel to treat treating physicians’ depositions as evidence depositions. But new IDOT counsel disagreed. And there was nothing in writing. Attorney also argued it would make no sense for him to depose his client’s treating physician for discovery; he could have access to the physician any time. Attorney also said he suggested a trial continuance to client to do an evidence deposition, but client wanted to proceed; nothing was in writing and client said she didn’t remember such a conversation. All that mattered to the court of claims was the transcript designation as being for discovery. Attorney ultimately won. But he still was sued. His insurer undoubtedly had significant legal fees for a trial and appeal. And maybe attorney paid a deductible. He sure had to spend time dealing with a suit, which could have been spent on work for fee-paying clients. And who wants to be sued. It all could have been avoided by making sure the deposition notice and transcript were designated as an evidence deposition.